La Vina Cuban Cuisine Restaurant is a gem. 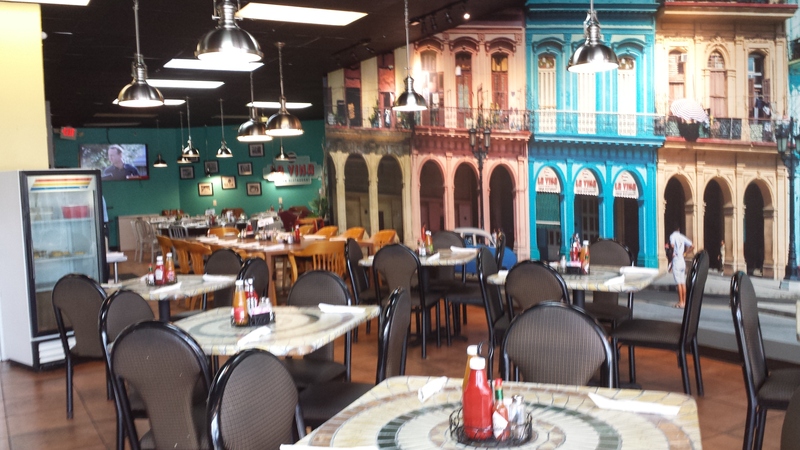 The stylish and clean restaurant offers authentic Cuban comfort food in southwest Houston, Texas. La Vina may be hard to find on Richmond Avenue. The Cuban restaurant is tucked away in a corner next to a child day care in a shopping complex that has more unoccupied space than businesses. However, it is worth the trip for the food and a taste of Havana. 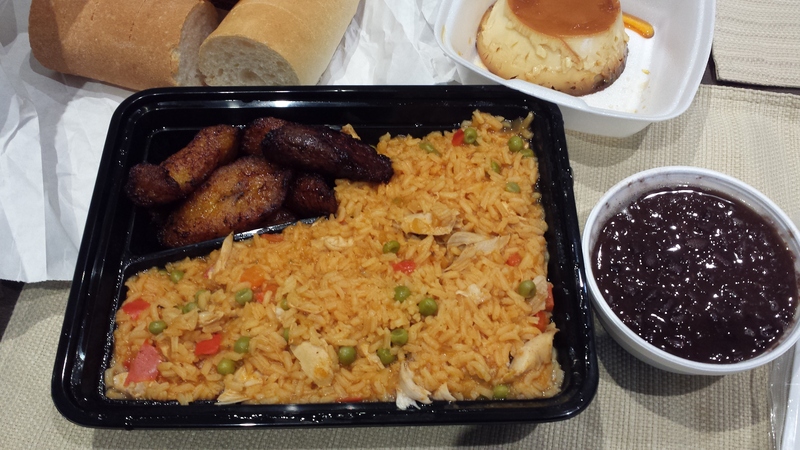 Above, we ordered the daily special, Arroz Con Pollo (Chicken with Yellow Rice) which comes with fried plantains. We added Frijoles Negros Chico (Black Beans) and 1 Flan, a custard dessert. The food was delicious, reminding us of the famous Columbia Restaurant in Tampa. The Arroz Con Pollo also was enough food for 2 people. Our takeout order was $16.18. When dining in, the meals come with Cuban bread. 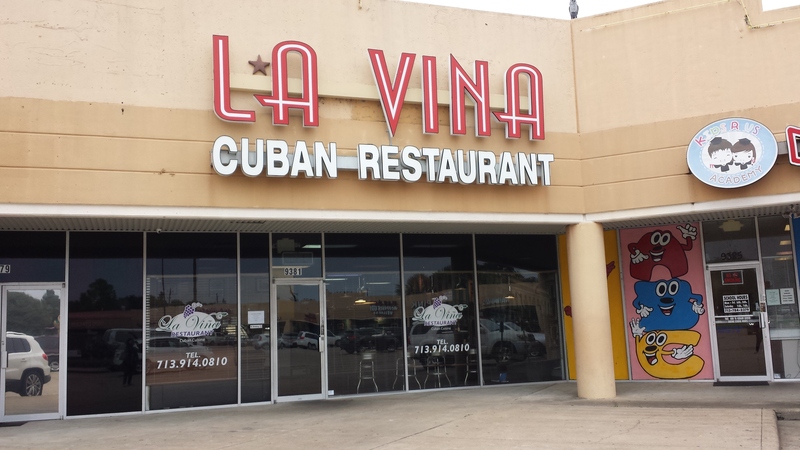 La Vina Cuban Cuisine is located at 9381 Richmond Avenue between Fondren and Gessner. Cash and credit cards accepted. This entry was posted in Dining, Food, Discovering Houston, Discovering Texas, Houston Lifestyle, Restaurant Review, Travel and Recreation and tagged La Vina Cuban Cuisine, La Vina Cuban Cuisine Houston, La Vina Cuban Restaurant Houston. Bookmark the permalink.